A week ago, Mormons quietly marked the 38th anniversary of their faith lifting its ban on black men and boys holding the priesthood and black women participating in temple rituals. But lest any in the 15 million-member Church of Jesus Christ of Latter-day Saints presume that momentous June 8, 1978, change ended racism among members  think again. "Racism still exists and still has a tight grip within the LDS Church." 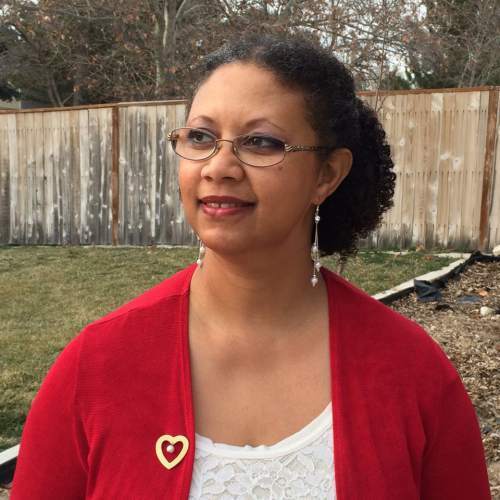 Burch serves as Relief Society president for the women in the Genesis Group, a support organization for black Latter-day Saints that was created before 1978 and continues to the present day. As part of her volunteer service, which Burch believes is "directed by God," she responds to calls in which black Mormon women describe the challenges they face in a mostly white religion. She works with "white women who are married to black men to help them understand certain things about being married to a black man," Burch said, with "white women who have adopted black children to help them through the difficulty of figuring out about care of hair and skin ... [and] with adoptive parents to help them with their teenage black children who are facing racial issues about the church and in the church community, and strives to assist them in navigating those stormy waters." Burch teaches the "truth about black people ," she said, and "debunks myths that have long been taught in the church and sadly are still taught and believed today." Many black Mormons "still need support to remain in the church  not for doctrinal reasons but for cultural reasons," Burch said. "Women are derided about our hair ... referred to in demeaning terms, our children mistreated, and callings withheld." When asked what black women today want, one woman told Burch was "to be able to attend church once without someone touching my hair." The Utah-based LDS Church has come a long way since 1978, Burch said, but there is much left to do. "As members of the church, we need to have the hard and uncomfortable conversation of racism," she said. "We need to keep having it to expel all the hot-air anger and have it until we&apos;re able to reach effective dialogue during which we are truly hearing one another, learning and changing our generations-old myth-based paradigm." Burch thanked the gathered historians for "bringing into the light truth long hid," so that all members would know "God did not curse black people." Please, Burch begged them, "don&apos;t stop."